On the weekend, I was out of town visiting a high school friend. 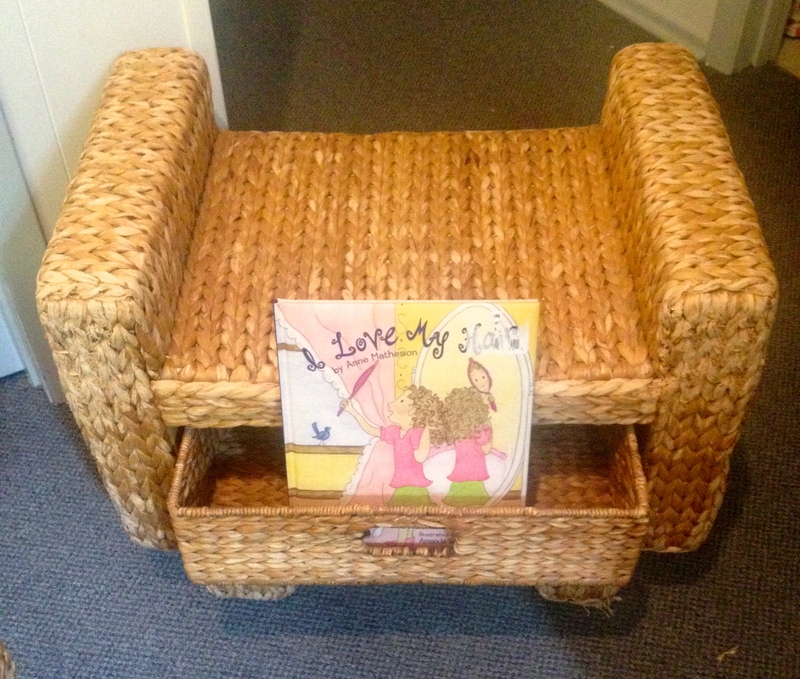 It was an absolutely beautiful day outside AND there were a ton of local garage sales for us to hit up – WIN WIN! In true teacher fashion, I bought items entirely for future classroom use. 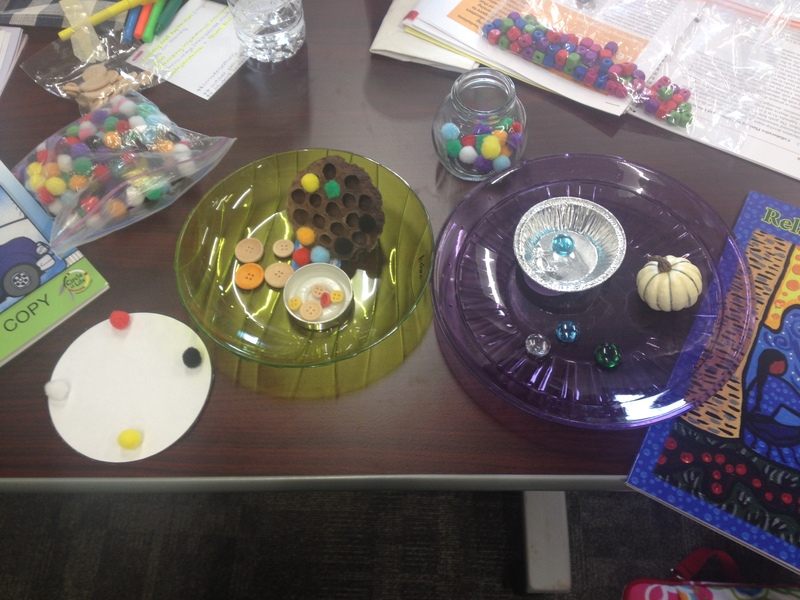 Most of my finds were influenced by a recent PD event I attended through Sun West School Division (the school division in which I will be doing my internship). My invitation focused on objects and items that were round or circular. I thought this would tie in well with Medicine Wheels and other Indigenous elements – drums, sun, earth, moon, etc. 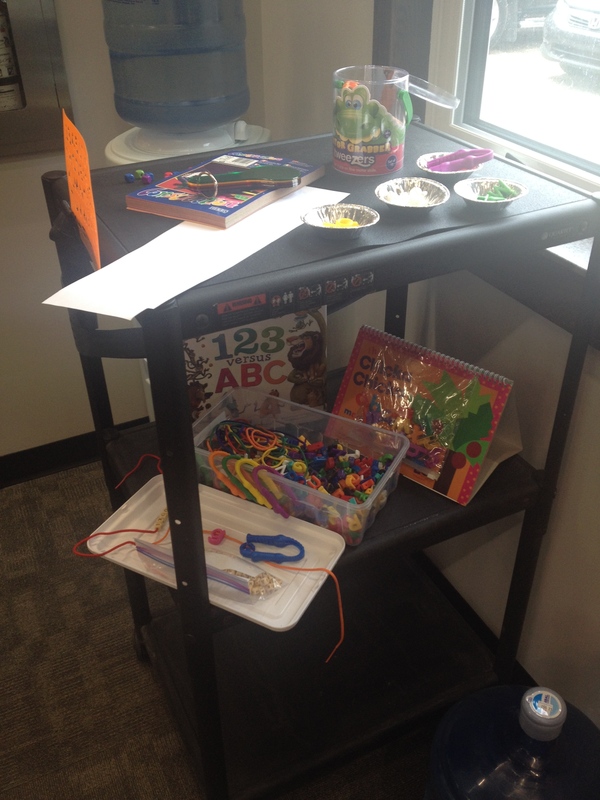 This centre encourages students to explore the letters of the alphabet in a variety of mediums. An invitation to delve into shapes. At the workshop, I had a chance to meet my cooperating teacher for the first time. She greeted me with an embrace as she said “I’m a hugger!” That was an instant moment of happiness and comfort. My coop teacher has been teaching Kindergarten for five years, and told me that she is hoping to try some new things next year – “We will learn together” as she put it. She was very informative and answered my jumble of questions eagerly. I am so excited to embark upon this awesome journey with such a bubbly and helpful cooperating teacher by my side. 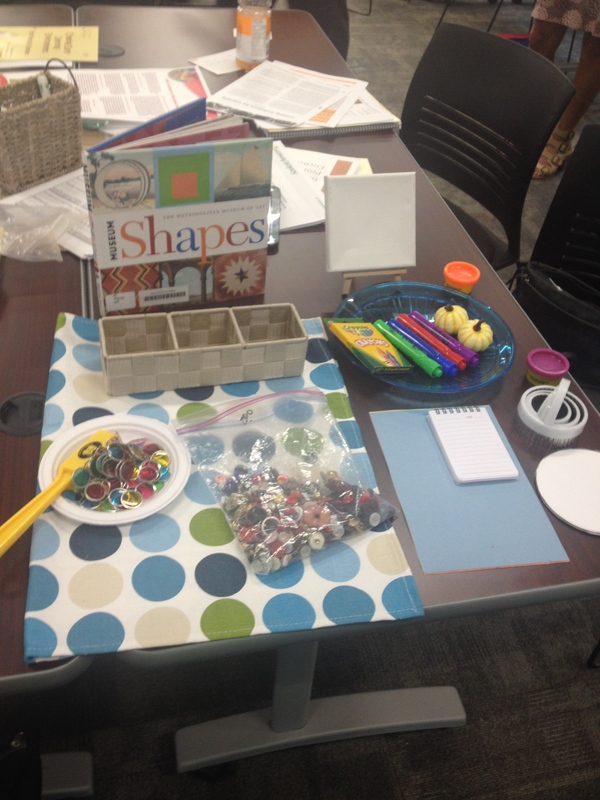 At the workshop, I learned that it is important to have a quiet corner in your classroom for students to decompress and have alone time, if needed. This can also double as a reading corner. 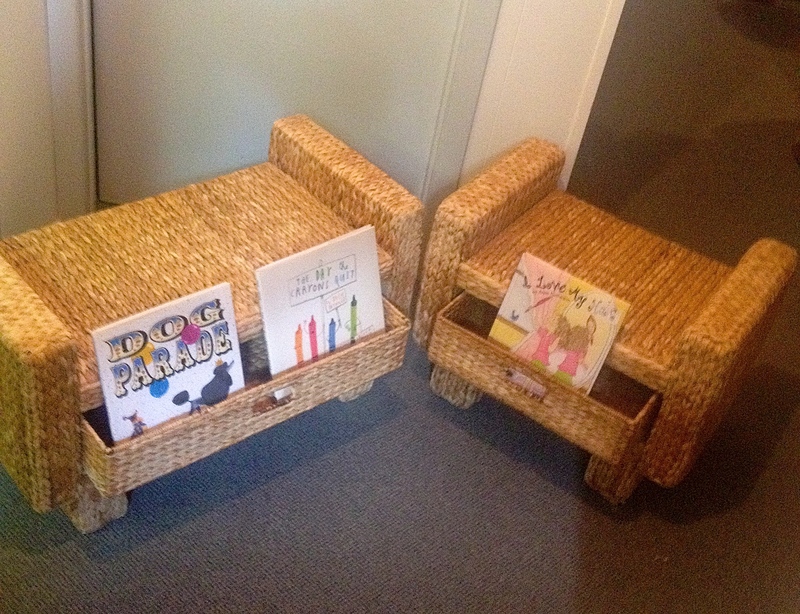 Inviting and comfortable furniture is a must to implement this kind of area in your classroom, which leads me to my first garage sale purchase: two wicker benches perfect for little bodies to curl up on. 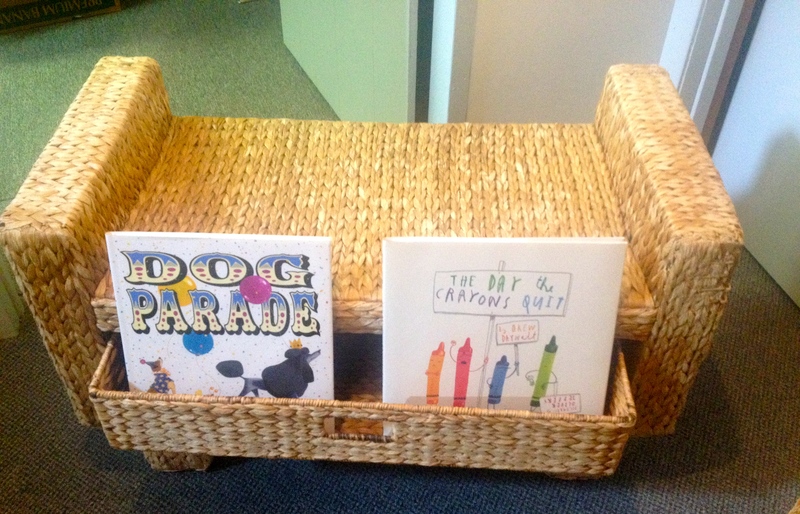 The drawers are a perfect hiding spot for inviting books. 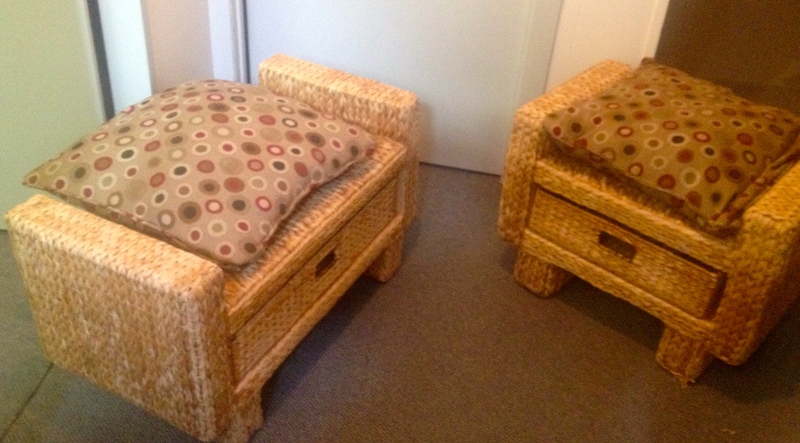 I also found two natural-toned pillows that could pair with benches as cushions, or be put in the carpet area for sitting. 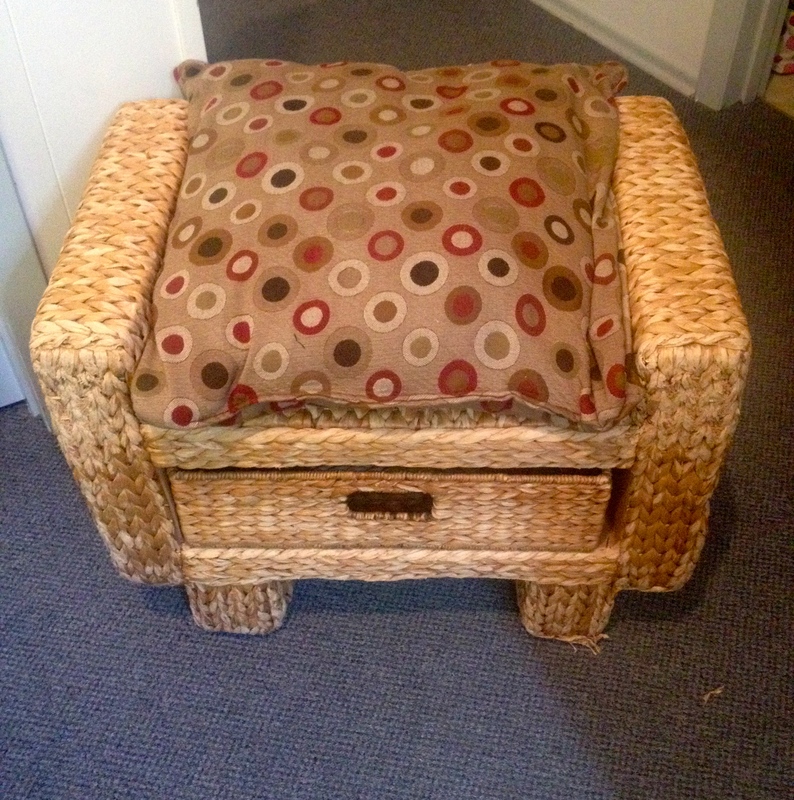 These could also double as a centre area for activities if plastic trays or blankets were placed on the top. The drawers could hold blocks, drawing materials, props for dress up, etc. The small bench is perfect for one. The larger bench of the two. These could also be incorporated into a dramatic play centre such as an office, restaurant, or house if the right props were added. A comfy place to sit and read a favourite book with calming, natural colours. The other thing I learned at the workshop (which echoed many of the ideals I learned in my ECE courses at U of R) was that invitations require aesthetically pleasing and organized presentation. This means you need a lot of containers (to display, sort, organize, and store all of your items). So I stocked up on a variety of trays, containers, and organizers to inspire, encourage, and direct student exploration. 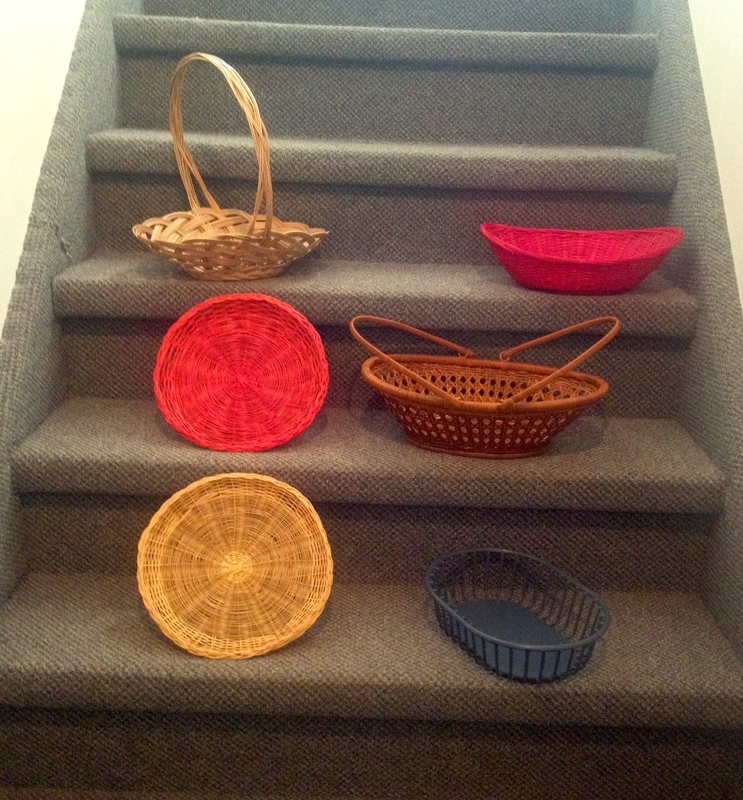 Baskets of differing sizes, colours, and shapes provide variety to satisfy many uses. 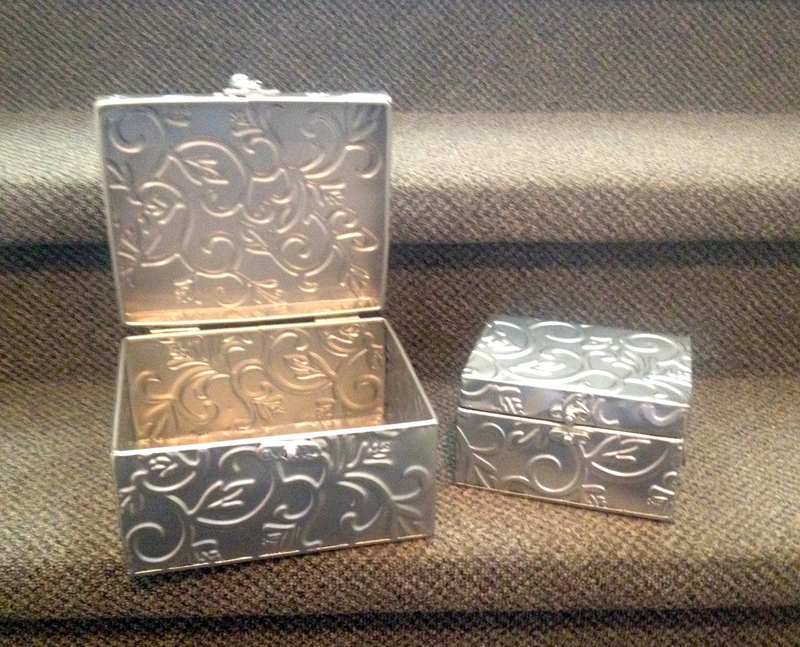 These beautifully filigreed silver boxes reminded me of delicate treasure chests. 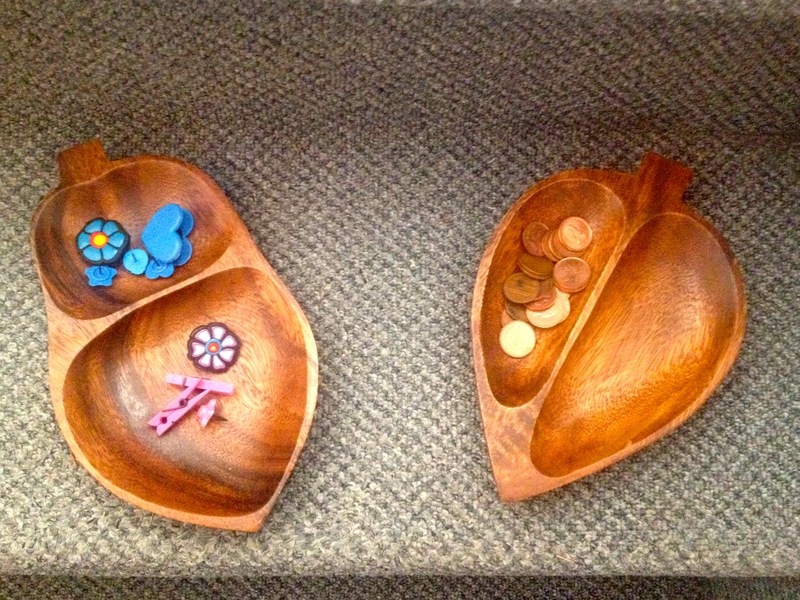 The smaller one can nest inside the large one to decrease storage space. These would be perfect to hold numerous kinds of materials. 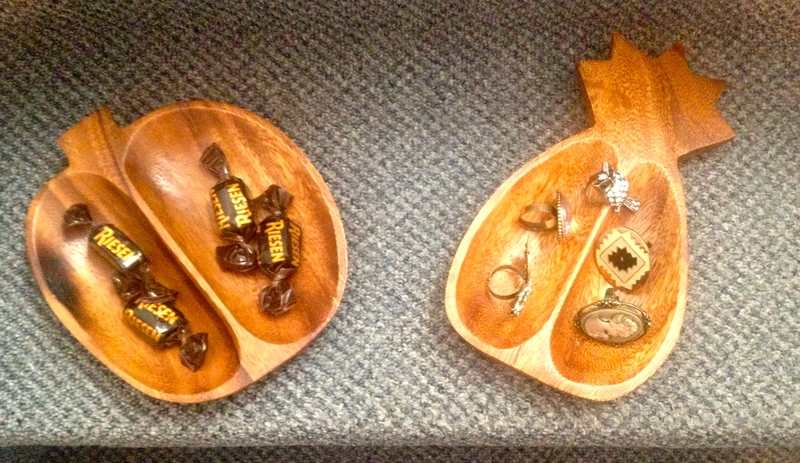 I fell in love with these wooden fruit-shaped trays. 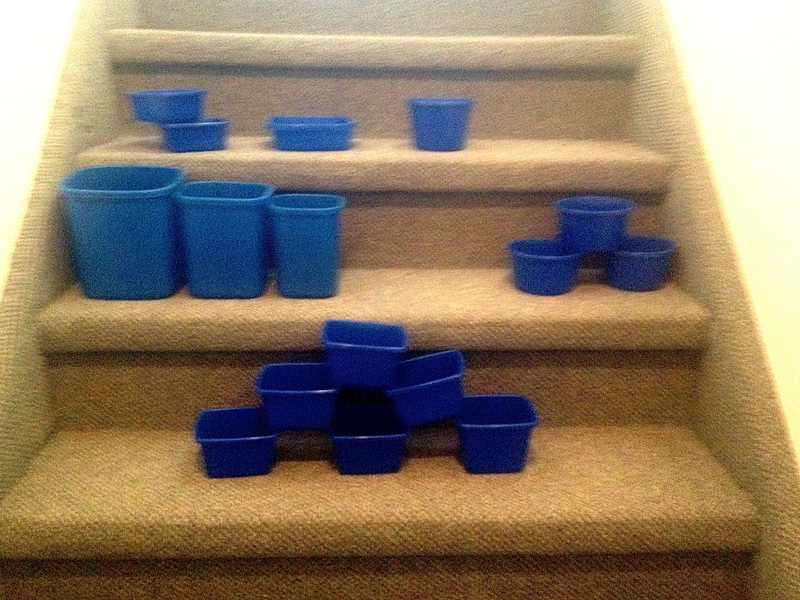 They are all separated to inspire sorting and classifying – great for math tasks. Sort object by colour, size, shape, texture, etc. Or use to count as you move objects from one space to the other. This square glass tray was too cute to pass up – I love the design and colour. Perfect for sorting and displaying. 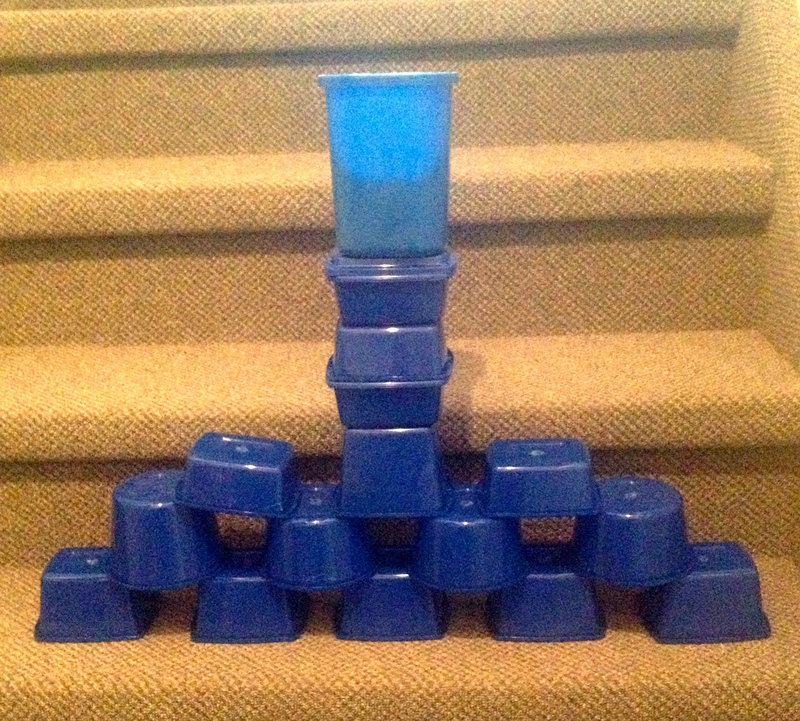 I got a whole box full of these blue plastic containers. They came in a multitude of sizes and shapes. They all came with lids too, which is a bonus. 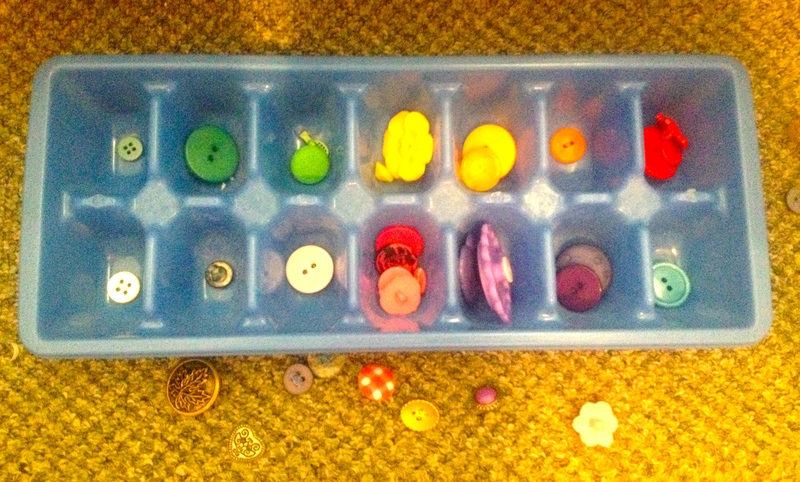 Aside from providing storage, I thought students might also use these as building blocks! 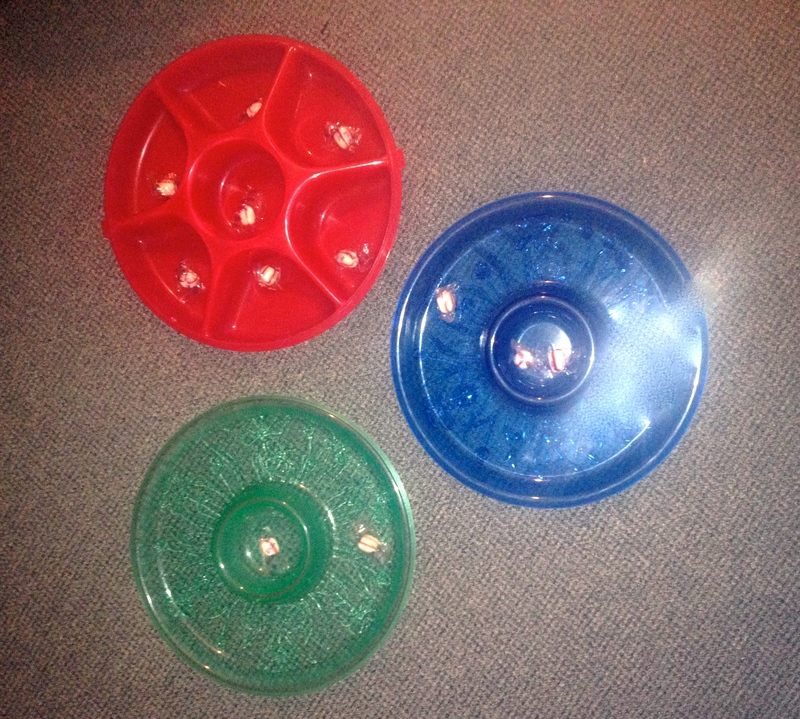 Circular trays perfect for sorting, arranging, displaying, or organizing. Could also be used for liquids or solids such as grains of rice, beans, seeds, etc. 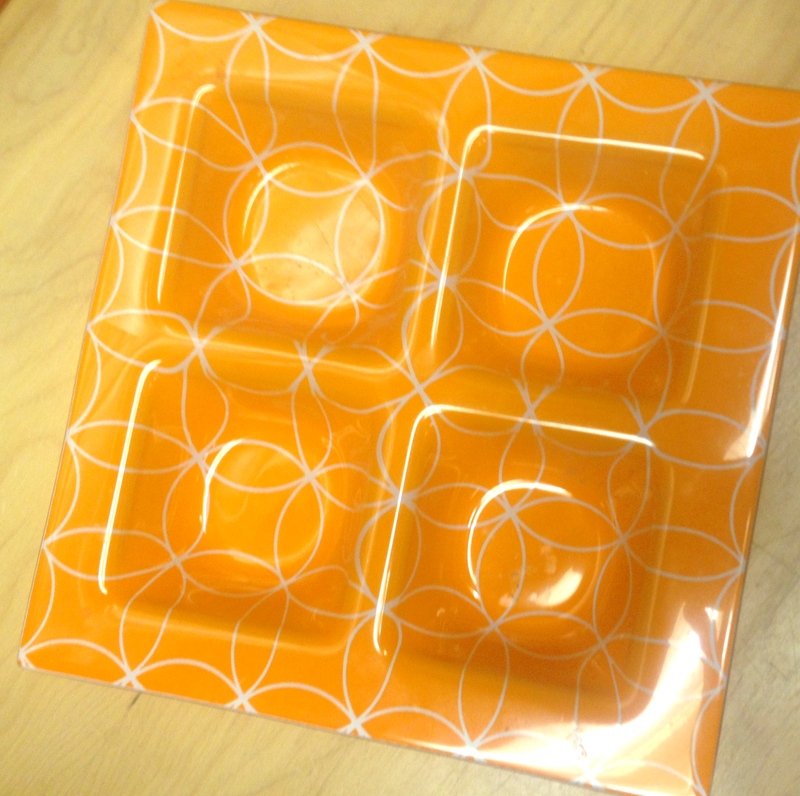 I really loved these 4 square trays. 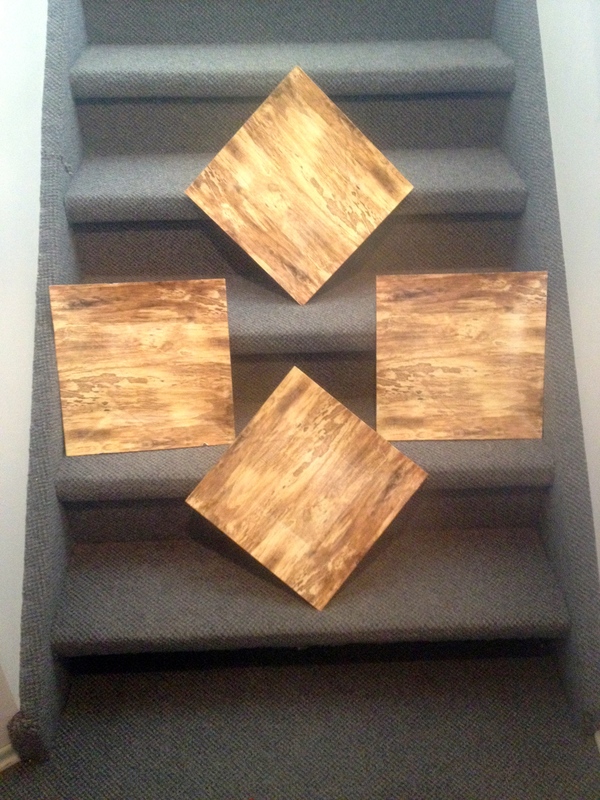 The wood grain looking texture is very natural. Could serve so many purposes! I chose this oblong silver tray because of its reflective properties – perfect for exploring light and reflections. These three lady bug stones were just too cute to pass up. This ice cube tray was free! They are perfect for sorting or counting. Here I showed how they could be used to distinguish hues and shades of the different colours. What was your best garage sale or bargain find for your classroom?